This double room has a bathrobe and minibar. Free spa access is included. This double room has air conditioning and bathrobe. Free spa access is included. 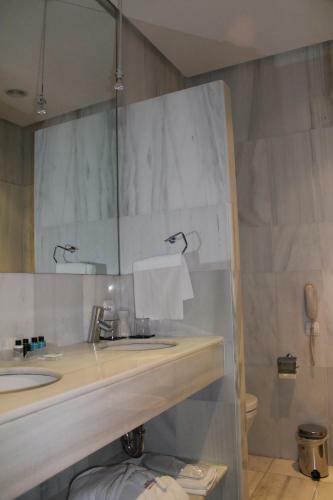 This suite features a bathrobe and air conditioning. Free spa access is included. 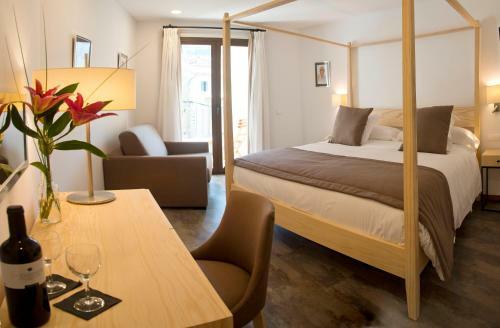 This double room has a bathrobe and minibar. It includes a car during your stay as well as pick up and drop off service to and from the airport. 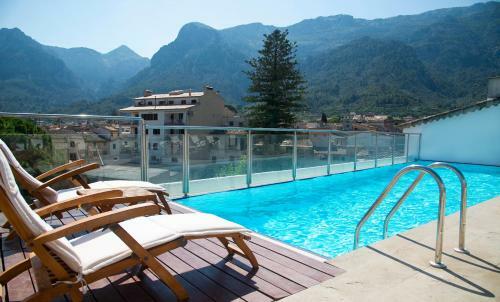 Nestled between the Tramuntana mountains and the sea, this 5-star hotel blends timeless elegance with modern facilities including an extensive spa centre with free entry. 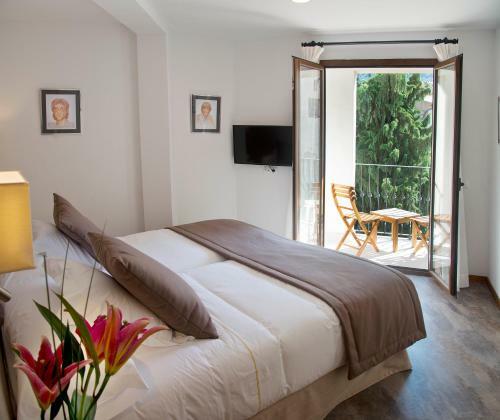 Located in the centre of Soller, Port de Soller Beach is 3 km from Gran Hotel Soller and there is a tram stop 50 metres from the hotel which will take you there through the valley’s orange groves. 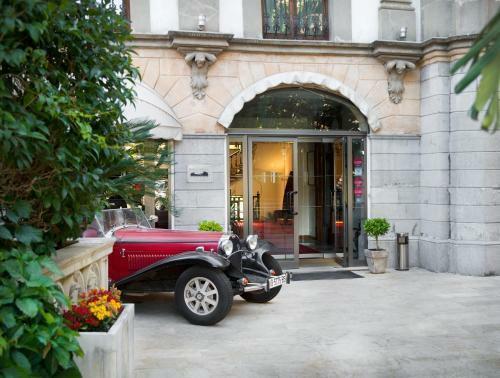 Behind the hotel’s charming, 19th-century façade you will find extensive leisure facilities. These include the spa centre, with its heated indoor pool, Jacuzzi, steam room and massage treatments. You can also choose to stay active in the gym. Son Termens Golf Course is a 15-minute drive awa. 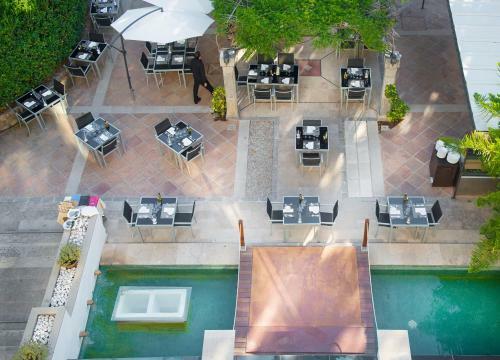 Finish off the day with a gourmet, Mediterranean meal in the C’an Blau Restaurant – an enchanting, authentically Majorcan venue which opens onto a terrace for al fresco dining. 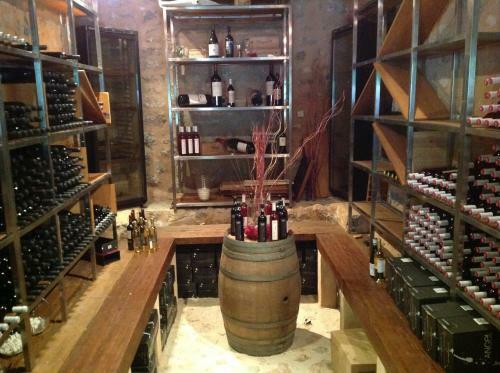 A fine wine from the hotel’s own cellar provides the ideal accompaniment to your intimate dinner. Free Wi-Fi is offered throughout the property. 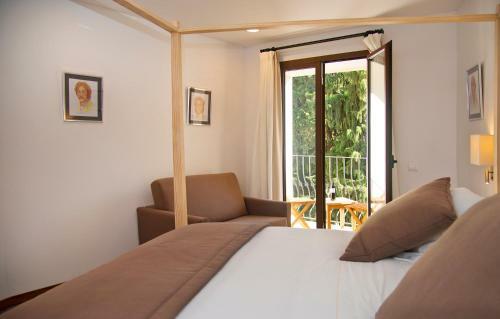 Relaxing luxury stay in the heart of Sóller. The rooftop pool was stunning, great view of the mountains and hillside. Breakfast was above average, the gym was functional, if a bit basic. Overall, great place to stay! Très belle étape dans cette belle région de Tramuntana. 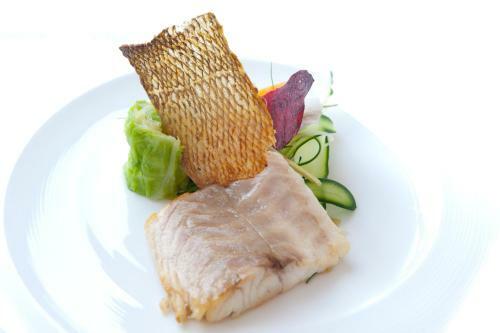 Personnel accueillant, tres bon restaurant, belles prestations. 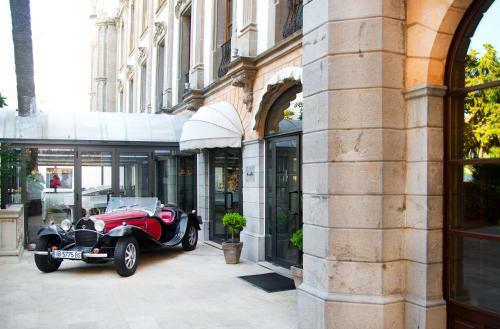 L'hotel est très bien situé et a beaucoup de charme. Le personnel était très bien, à l'écoute, serviable. Schönes Hotel , tolle Lage, direkt am Stadtzentrum , trotzdem mit Parkplätzen kostenlos ! + Parkservice kostenlos ! Die historische Tram nach Port Soller hält direkt vor dem Hotel ! 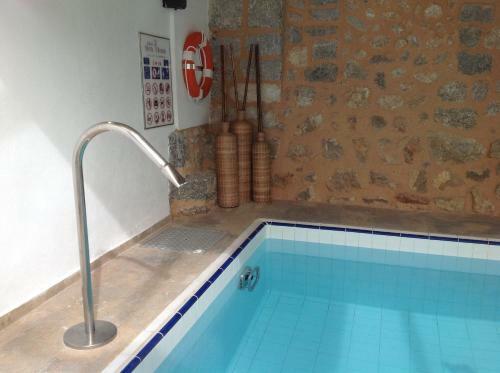 The hotel is located in the centre of Soller and is close to the tram and railway facilities. 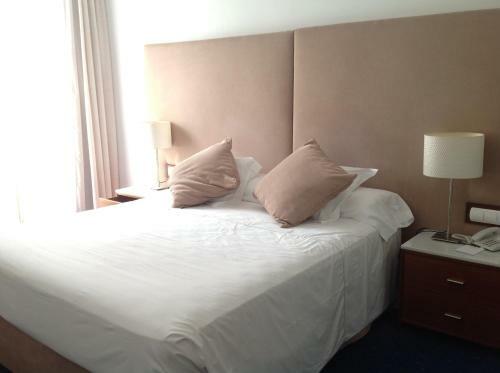 The staff are brilliant and the rooms are spacious and well appointed. For breakfast there is an excellent choice and the restaurant is one of the best places in Soller for dinner. La atención del personal muy profesional.En general muy bien. Pensamos volver. Sehr gutes Frühstück, nettes Frühstückspersonal. Liebloser Stylischer 3 Sterne Neubau wird als 5 Sterne Gran Hotel verkauft. Kein RTL Fernsehen. Rezeption total überfordert. So nie wieder, Gran Hotel bezahlen und in einer Jugendherberge untergebracht werden. Frechheit. Auch der Spabereich im Haupthaus ist ziemlich verbraucht. Central location is really good. 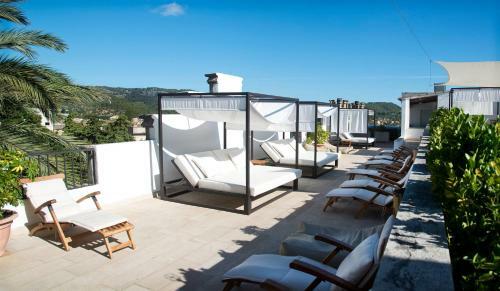 The roof top terrace with pool is lovely with great views over the town and hills. We only had breakfast but there was an excellent selection. Breakfast service could have been better some times. Not the staffs fault, they were unfailingly pleasant and polite but not enough of them to cope with demand at busy times. Lärm von der Kühlung im Hof sehr störend. Not so grand at the Gran Hotel Soller. Not a lot with the room but Christina on reception was great. Restuarant was in basement, view was a carpark. We were put in the annex and it was no better than a apartment in Magaluf and furnished by IKEA. Sylvia on reception was rude and off hand. Sergio the manager was useless did not follow up on complaint we had to see if resolved satisfactorily. No drawers for storage and wardrobe space for two was about 22" wide. 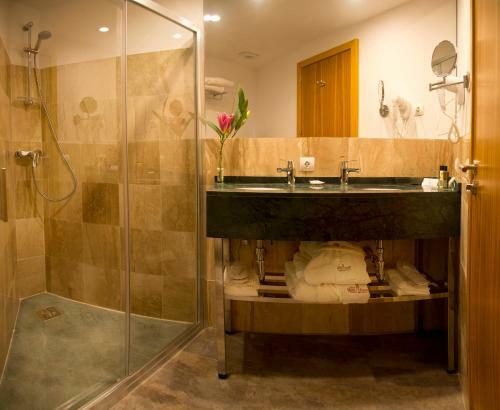 Large airy room with comfortable bed and good bathroom. Good location for great walks in the Serra to Tramuntana, e.g. to Deia or Fornalutx. 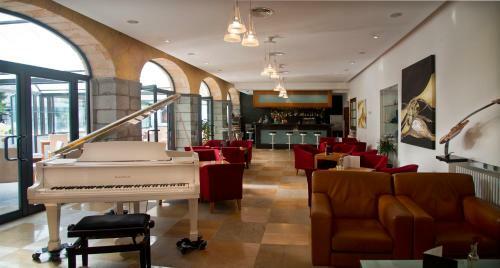 A lovely hotel, great location and helpful staff. On arrival we were upgraded to a Junior Suite as we were staying for 8 nights. 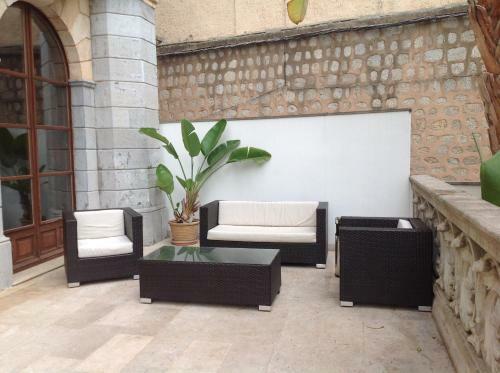 The location was excellent, just around the corner from the square in Sóller. The rooftop pool was small but adequate with nice loungers/beds surrounding it on two levels. Stunning views of the mountains. Breakfast in the garden was a lovely setting. Beds large and comfortable. I always like a balcony, it is part of my holiday to enjoy sitting there reading/sipping a glass of wine. I had requested one on my booking. The upgrade was lovely but had no balcony. The poolside bar was only open until 6.00pm which all guests that we spoke to felt was too early.We had family joining us for drinks one evening and I had to order the drinks before they arrived as the bar closed! Often there was no-one there even up until 6.00. I had to go down in the lift to the bar to order drinks. The barman was too busy to bring them up so I was just given a tray. The setting round the pool was lovely but at night time there were hardly any lights. Definitely would benefit from more lighting, I would have sat up there and read ( as I had no balcony) in the evening but it was too dark. 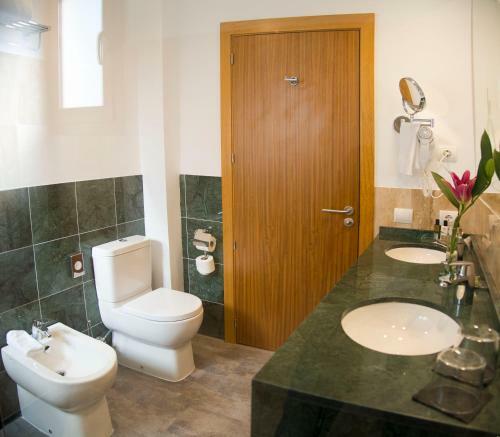 Lovely location, nice spacious, comfortable room and bathroom. Friendly staff. Slow service at breakfast including mix ups with cooked breakfasts. Not a 5 star but that's ok for the price. The outdoor pool area could have been cleaner particularly the glass at poolside, other public areas were clean but gloomy. The bedroom was adequate but small with no provision for suitcase storage. Whilst the setting for the outdoor dining was attractive, the tables and chairs were cheap and there was no table linen. The smoked glass table tops were left smeared after wiping. The food was good but no vegetarian options were offered on the evening menu for half board customers. This hotel was not up to 5 star standard. On the same trip I stayed at the 5 star Formentor Hotel which whilst slightly more expensive was a world away in terms of style, comfort and value for money. Für einen Kurzaufenthalt in Soller wunderbar geeignet. Sehr nettes Personal am Check-In, gute Hotelausstattung. Tolle Lage direkt im Zentrum von Soller, 200m von der Kathedrale entfernt. Das Frühstück war gut, das Personal am Service leider nur mit den Bestellungen der Gäste (z.B. Kaffee oder frische Spiegeleier) total überfordert. Great stay in a super hotel. 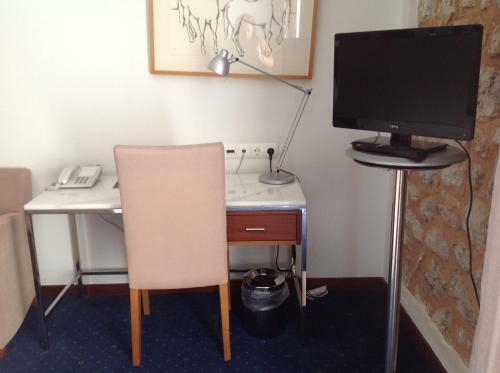 A really charming, sedate hotel in the centre of an attractive town. We enjoyed everything about our stay for a week on half board in September. Breakfast and dinner were great and we appreciated the alfresco dining. Staff were very friendly and room was comfortable and quiet. An oasis of calm in the heart of bustling Soller. 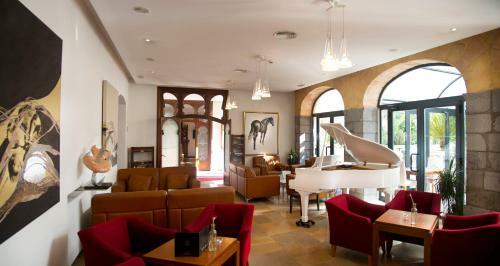 The courtyard restaurant is lovely, an oasis of calm in bustling Soller, especially good food in the evening. The fitness centre was disappointing. Small with broken machines. Fabulous half board menu. Coffee machine in bedroom. Excellent position in the quaint old town. Fabulous location and views from room and rooftop terrace, all staff very friendly and helpful, two pools, hotel very quiet and civilised, everything you could think of available at the breakfast buffet in the garden. Interesting antiques on the landings, beautiful old building exterior yet rooms were entirely up to date. 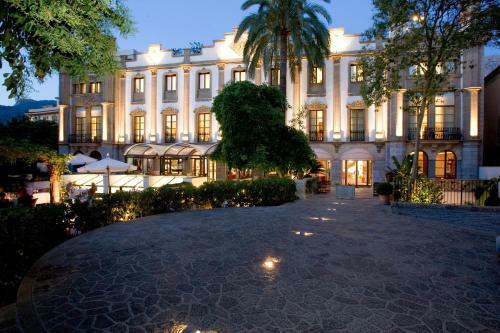 You could not stay at a nicer hotel. I was absolutely delighted with everything. 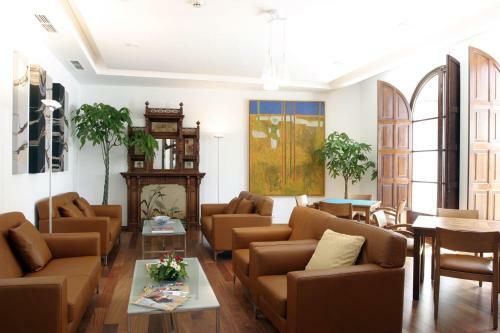 Surrounded by mountains, this elegant 19th-century hotel is a 5-minute walk from the Church of Saint Bartholomew and Saint Tecla, and a 14-minute walk from the Botanic Garden of Sóller. 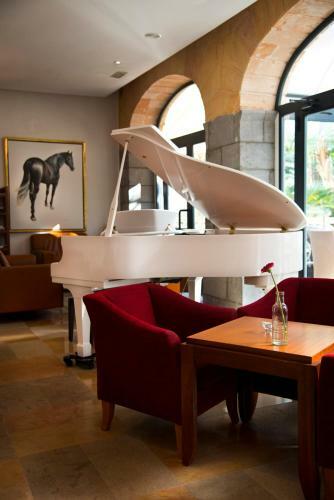 The contemporary rooms and suites provide free Wi-Fi, satellite TV, minibars and desks. 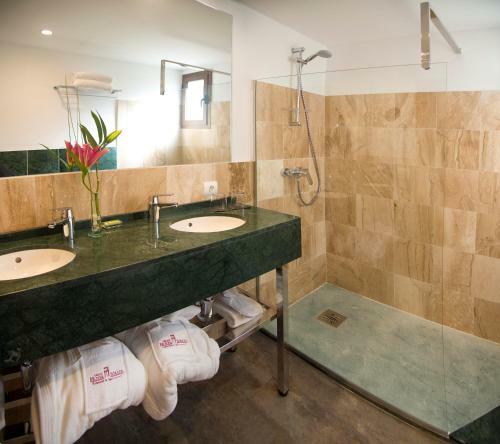 Some rooms have balconies/terraces, and suites add separate sitting areas and Jacuzzi tubs. 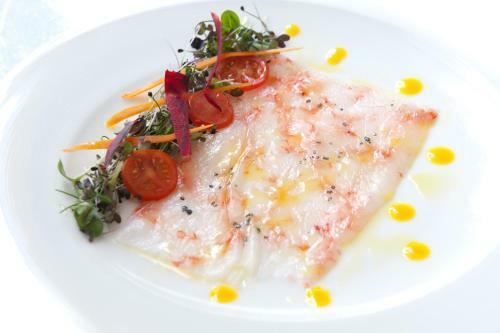 There's an upscale restaurant and wine cellar, plus a lobby bar/lounge that serves cocktails as well as breakfast pastries and coffee. Other amenities include a spa with an indoor pool, a hot tub and a sauna, plus a fitness room, a salon and an outdoor pool.